52 Quilters: Special Moments in My Journey!! 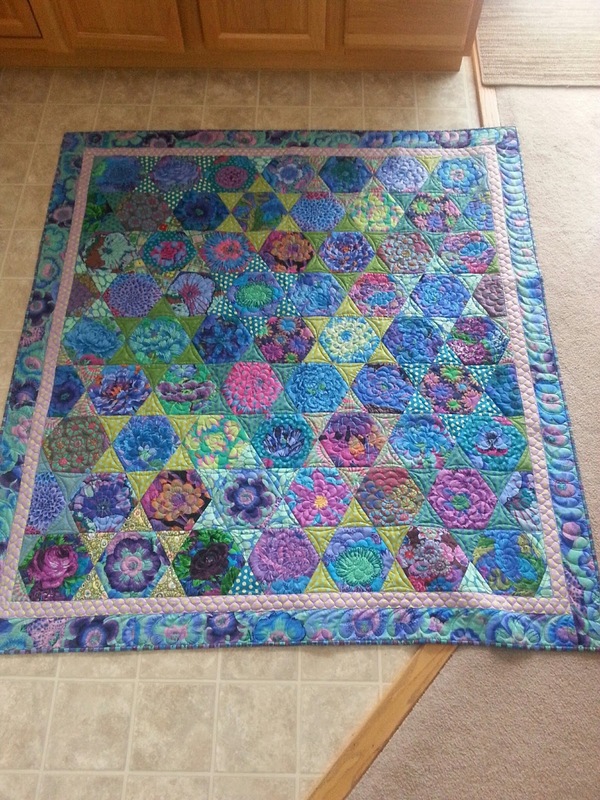 In looking through all of the pictures that I have of quilts I have either quilted for myself or for customers, I thought it would be fun to share some memorable moments with all of you!! 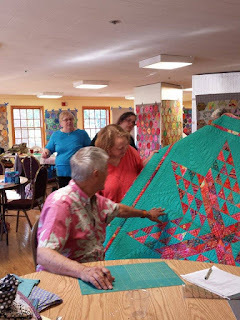 A couple of years ago, I had the opportunity to go and take a class with Kaffe Fassett at Olde City Quilts in New Jersey with a friend of mine. 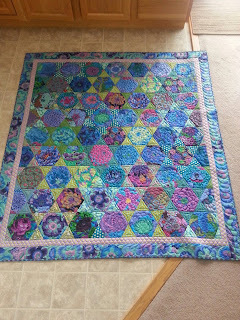 I had quilted the quilt above for a customer of mine (she used Kaffe fabrics) and I took it with me for a show and tell time. Here is the quilt that we made for the class. 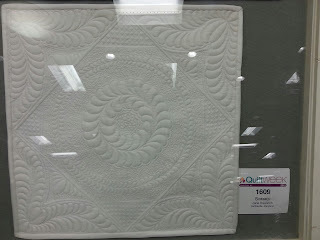 Two years ago, I submitted a quilt to AQS Paducah and it was juried into the show....woohoo!! 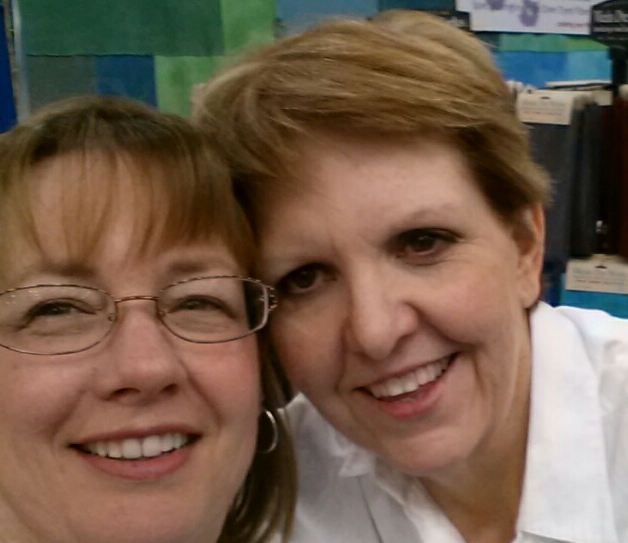 So, of course, I had to make the trip to Paducah to see it!! What a delight to see it hang there. I stopped in to Edyta Sitar's booth. 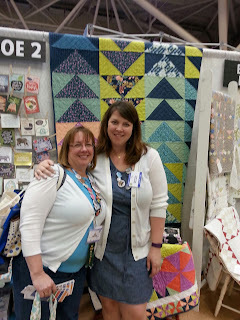 She noticed my contestant ribbon and much to my surprise, she asked me to take her to see my quilt! OMG!!!!! 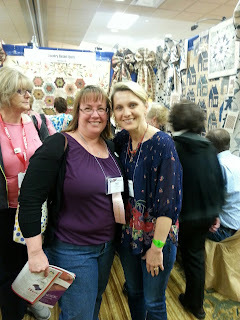 In Spring 2015, I attended Spring Quilt Market for the very first time!! It was a ton of fun and I had a great time and met so many great people!! 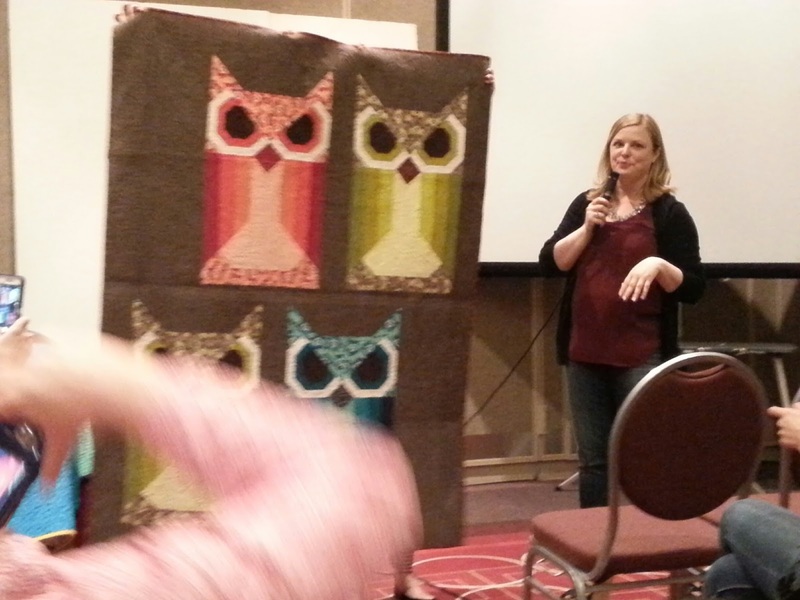 Earlier this year, I became a Handi Quilter National Educator, and my trip to Salt Lake City was amazing!! 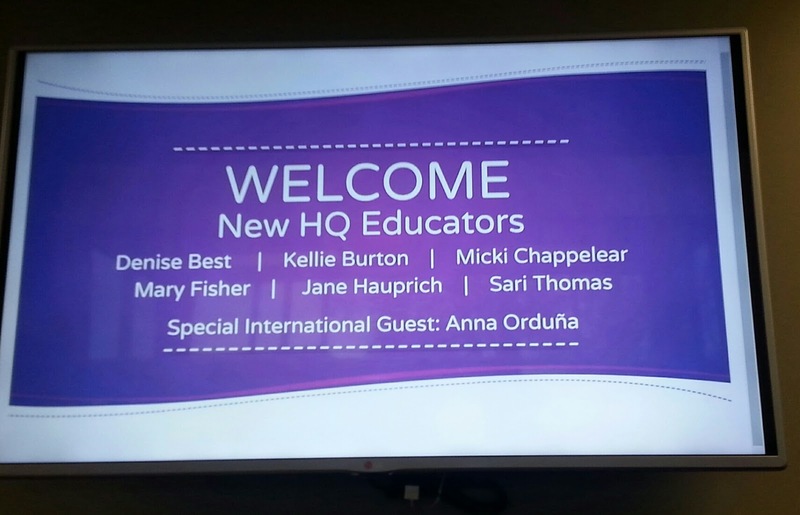 We were greeted in style!! 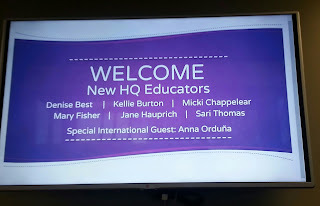 I also have to thank a few people .....Jamie Wallen, Lisa Calle and Linda Hrcka.....they all gave me great advice on teaching when I reached out to them, and were so helpful and encouraging!! Thank you, Thank you, Thank you!!!!! My only hope is that I can pay it forward. 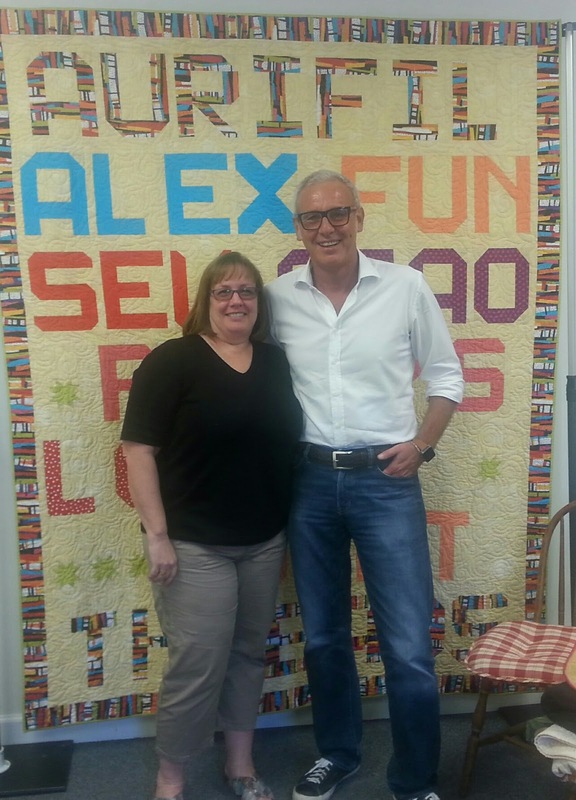 Recently, Alex Veronelli (Aurifil) visited my local quilt shop (Peggy's Sewing Center) to present a lecture. What a treat that was!! The presentation was so informative and it was so exciting to meet him in person!! 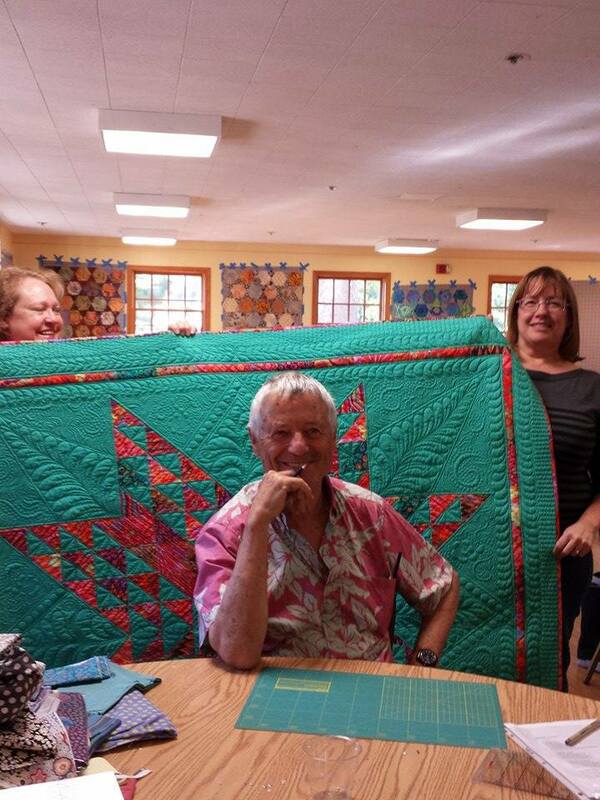 My friend, Ellen, made this quilt for his arrival!! He absolutely loved it!!! 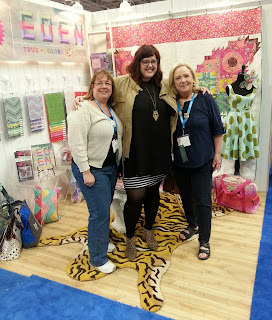 While meeting all of these people and doing these wonderful things has been great, it is the relationships that I have with my customers and quilt friends that keep me going!! I couldn't do it without the encouragement they all give to me!!! My gratitude also goes out to my family, for all of their support and encouragement!!! 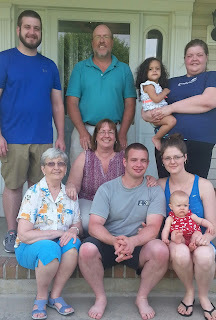 We have four generations here....and I am so grateful for that! !